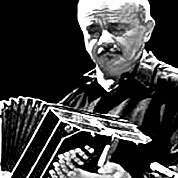 Ástor Pantaleón Piazzolla was an Argentine tango composer and bandoneón player. His oeuvre revolutionized the traditional tango into a new style termed nuevo tango, incorporating elements from jazz and classical music. A virtuoso bandoneónist, he regularly performed his own compositions with different ensembles. 20th century. Time Signature 7/4. 9 pages. 81 measures. Guitar Solo Piece.